A member of Osun House of Assembly, Hon. Olatunbosun Oyintiloye, has identified low participation of Nigerian youths in politics as one of the major leadership crisis in the country. Oyintiloye (APC-Obokun) made the remarks in Ibokun town in Osun while addressing a cross section of student during Obokun Student Union Fiesta. The lawmaker said that the nation’s political system would be better off with the active involvement of youths in politics at all levels of government. Oyintiloye, who described Nigerian youths as resourceful and dynamic, said they(youths) were the set of leaders the nation was waiting for to take the nation to a greater height. “Nigerian youths must realise who they are, what they can see and must be learn to be civil and cultured. ” Nigerian youths must be ready to emulate Late Chief Awolowo, Nnamdi Azikwe, Alvan Nkoku and others , who in their prime age fought for the nation Independence. “There are also other good examples of people all over the world , who at their youthful age involved themselves in the politics of their countries. “The current Prime Minister of Canada Justin Pierre James Trudeau is just 46 years of age . ” Similarly, Emmanuel Jean-Michel Frédéric Macron, France President is just 40years . ” Our youths should therefore wake up from their slumber and take up the mantle of leadership in the country”, Oyintiloye said. The lawmaker said with the Not-Too-Young-To-Run law in place, the youths had been empowered to take their leadership position in the country. 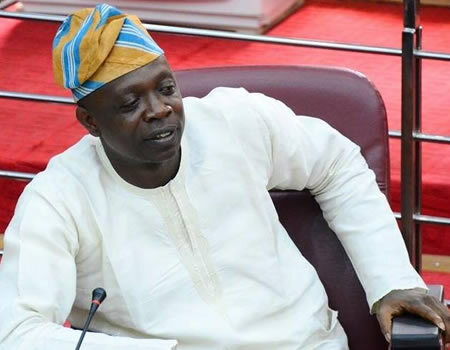 Oyintiloye said he would not relent in impacting positively in the lives of the youths in his constituency, adding that the welfare of the people is his priority. In his remarks, president of the Union, Comrade Sunday Olalere, thanked the lawmaker for his huge donation to the union and his continuous support for Youth development in the community. Olalere, who described Oyintiloye as a worthy ambassador whose good gesture was worthy emulating, urged him to keep the flag flying.